for a budget Maui vacation! 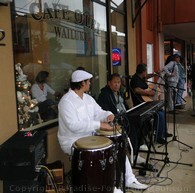 The lovely town of Wailuku, Maui, puts on a free streetfest on the first Friday of every month: "Wailuku First Friday." If you're looking for cheap things to do in Maui on your next vacation, this monthly event promises to go easy on your wallet! We've seen so many of the typical Maui attractions that we figured it was time we did something a little bit different. Why not get off the beaten tourist path, away from the insulated world of tourist attractions, and find some things to do in Maui that the locals would do? Wailuku First Friday is the perfect event if you feel like you've "seen it all," are looking for budget friendly things to do in Maui (it's FREE after all! ), or just want a change of pace! be sure to check out the deals on this site. 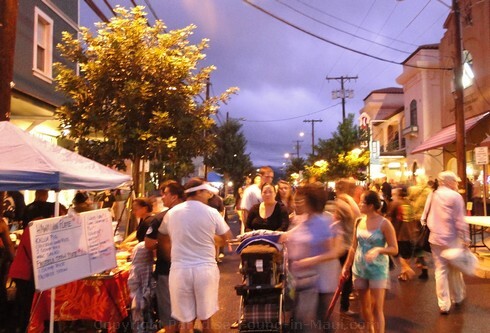 There are lots of fun things to do and see at this bustling street fest in Wailuku, Maui! For starters, how does loads of free live entertainment sound? We enjoyed the sounds of the musicians in front of the busy Cafe O Lei restaurant, and the performances in the Banyan Tree Park were wonderful as well! Since we were here in December, our kids were even treated to seeing Santa Claus parade down the street, giving away candy as he went! If you'd like to grab a beer or a glass of wine, you can check out their cheerful beer and wine garden - twinkling lights, palm trees, lots of people watching to do! 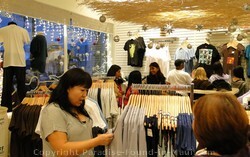 A lot of people find shopping is one of their favourite things to do in Maui. If you love to shop, you'll enjoy the street vendors selling crafts and the like. 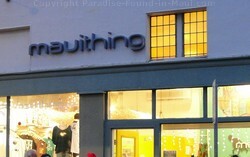 Also, be sure to check out the cool clothing at Maui Thing, located at 7 N. Market Street here in Wailuku, Maui. One of my favourite things to do in Maui is to sample the local food. 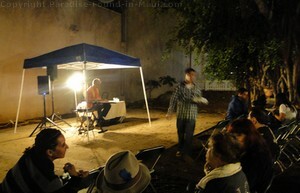 All I can say is, I hope you came to Wailuku First Friday with an empty belly! 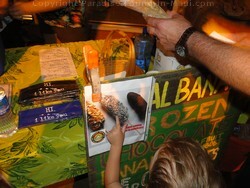 There were loads of vendors selling everything from fresh poi, plate dinners (ex. savoury meat dish, rice and salad), BBQ'd dishes, wood-fired pizza, hotdogs and tacos to dessert! We enjoyed some delicious BBQ pork and chicken skewers, rice and a side dish - the fresh, homemade food was soooo delicious! A bonus was that it was a fundraiser for a local organization, so the money went to a good cause! We also indulged in some frozen coconut chocolate bananas - I'd been craving one ever since we passed a road-side stand selling them, and didn't have the cash on us to buy one! Sob! Thankfully, I finally got to satisfy this craving at Wailuku First Friday! 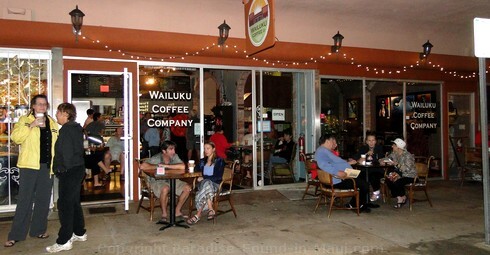 The Wailuku Coffee Company was open late especially for Wailuku First Friday. This relative newcomer to Wailuku, Maui coffeehouse scene just opened in 2010 and they've gotten great reviews! They serve a nice selection of coffee, espresso, sandwiches, salads and pastries. Cafe O Lei was also open, and busy as can be! If you want a sit-down indoor meal, then this would be a fantastic choice. 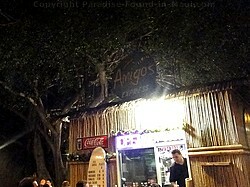 They tend to get good reviews, and, for what it's worth, we've totally enjoyed our meals at their Kihei location. Take a stroll down Market Street and see if there are any other restaurants that are calling your name! 50% off and 2-for-1 coupons for restaurants, activities and more! I recommend you get here nice and early to ensure you'll find a parking spot. 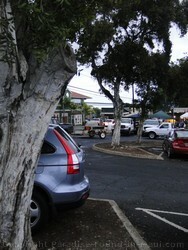 There's a handy free parking lot on Vineyard Street (right next to Banyan Tree Park), but it was filling up fast. If you time it right, you'll get here in time to grab a spot from one of the workers who are going home for the night. Worst case, if you get here too late for one of these coveted spots, you'll have to drive around to find parking on a nearby Wailuku Maui street. 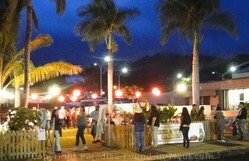 Wailuku First Friday runs from 6 p.m. until 9 p.m. The section of Market Street where the streetfest is held will be closed to traffic starting at 5:30 p.m.
Wailuku First Friday is held on Market Street, between Main Street and Vineyard Street. This section of Market Street is closed off to traffic starting at 5:30 p.m.
To get here from West Maui (ex. Lahaina, Kaanapali), follow the Honoapiilani Highway (route 30) towards Maalaea. Keep heading past Maalaea towards Wailuku Maui. From Kihei, take North Kihei Road to the end where it intersects with the Honoapiilani Highway. Make a right turn and head for Wailuku on route 30. The Honoapiilani Highway will become South High Street. You'll pass the it's intersection with Main Street. Keep going, and you'll notice that you are now on North High Street. When you get to Vineyard Street, make a right turn. Just before you get to Banyan Tree Park and Market Street, you'll see a very large parking lot on your right. This is a great spot to park if you can find a spot here! Going to Maui on a budget? We've saved big bucks on everything from accommodations to dining out, activities and more! for a discount Maui vacation! 2) Discount Maui Vacation: EASY ways to save on accommodations, rental cars, activities, dining out and more! 3) Our Top 10 Things to do in Maui for Adventure!